There are now 14 players remaining in today's tournament. There are now 23 players remaining. They bubble has burst and all players are now in the money. We are down to 31 players and officially on the bubble. We are now down to 60 players. Blinds are about to be increased to 600-1,200 with a 150 ante. At the completion of that level, all players will be on a one-hour dinner break. 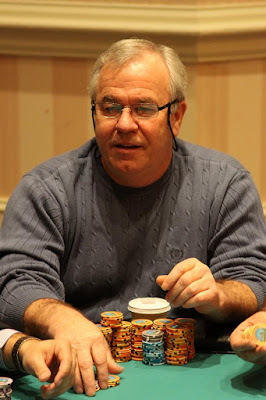 A total of 261 players entered the $400 NLHE event. The final 30 players will finish in the money. 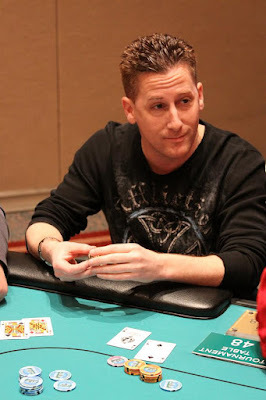 A total of 82 players entered the $400 HOSE event. There are now 23 players remaining and the final 9 players will finish in the money. Jay "WhoJedi" Newnum interviews Rich Lawrence just before he starts play at the $200 NLHE Final Table of the Foxwoods Poker Classic. 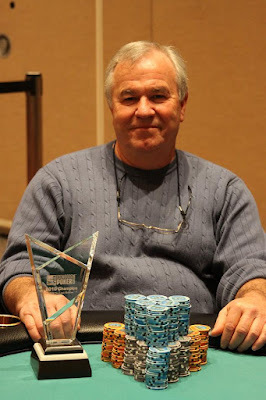 A four-way chop was agreed upon and Tom Noyes was officially named winner of the $400 Omaha High/Low event. 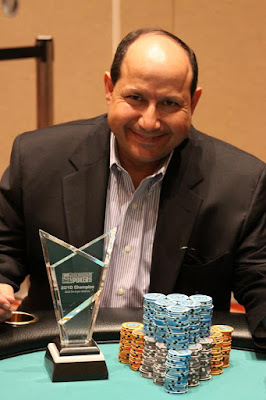 He takes home $7,754, the trophy and the Foxwoods leather jacket. A total of 261 players entered the $400 NLHE event. There are 100 players remaining and the final 30 players will finish in the money. 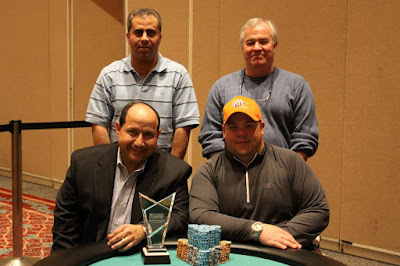 A total of 82 players entered the $400 HOSE event. There are still 82 players remaining and the final 9 players will finish in the money. 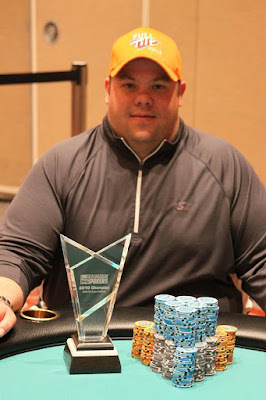 After a four-way agreement on a chop, Rich Lawrence is officially the winner of the $200 NLHE event at the Foxwoods Poker Classic. He takes home $15,149 and the Foxwoods leather jacket. The final four players have come to an agreement on a chop and Sherif Sweillam officially finishes in 2nd place. 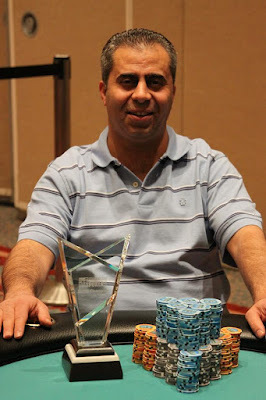 The final four players have come to an agreement on a chop and Firas Haddad officially finishes in 3rd place. 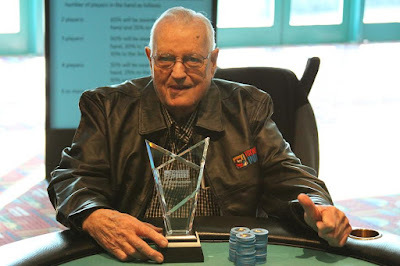 The final four players have come to an agreement on a chop and Leroy Pinette officially finishes in 4th place and also takes home the winner trophy. 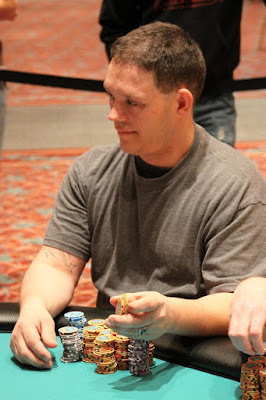 Foss had Sweillam dominated and maintained his lead after a flop of [Ac][Qh][8h]. The turn was the [8c], giving Sweillam a flush draw. 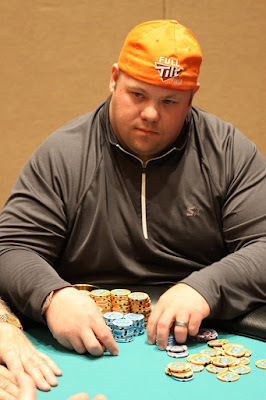 The [6c] on the river completed Sweillam's flush to win the pot and eliminate Foss in 5th place. The board ran out [Ks][7c][7d][2c][2h] and Lawrence won the pot, eliminating Lestage in 6th place. 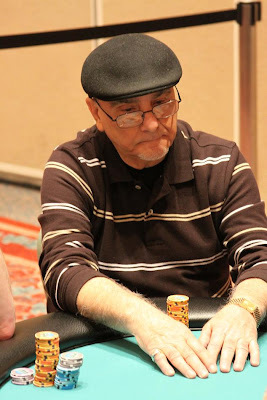 Peter Foss raised to 50,000 from the button and Jeff Higgins moved all in from the small blind for 57,000 total. 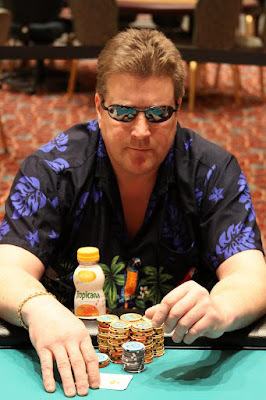 Rich Lawrence called from the big blind and Foss called. Foss and Lawrence checked down a board of [8d][7d][4s][Kc][Qh]. Lawrence showed [6s][4h] for a pair of fours and Foss mucked. Higgins flipped up [Th][9d] for no pair and has been eliminated in 7th place. 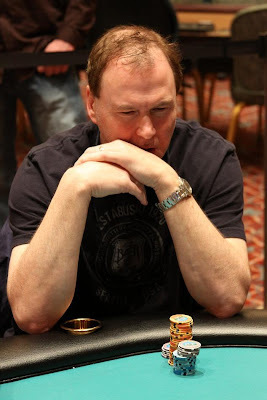 Paul Sartanowicz moved all in preflop for his last 140K and was called by Rich Lawrence on the button. Sartanowicz flipped up [8d][8h] but Lawrence turned over [Ah][As]. The board ran out [Kd][9c][3d][7s][4d] and Lawrence won the pot to eliminate Sartanowicz in 8th place. 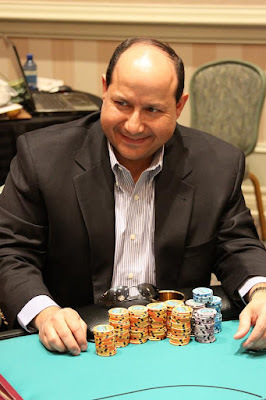 The board came [Th][5d][4s][Qh][6h] and Haddad's ace high held up to win the pot and eliminate Pitti in 9th place. The board ran out [Kc][7d][6s][6d][7s] and Parker was not able to improve. 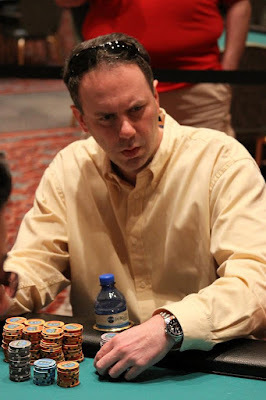 Lawrence won the pot and eliminated Parker in 10th place. We are down to 182 players in today's $400 NLHE event. Day one of the $400 NLHE event is underway. 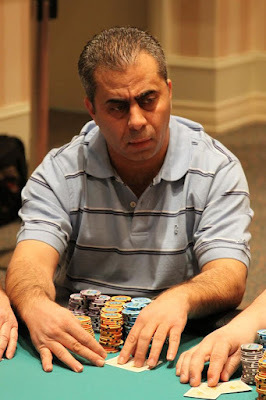 Players start with 5,000 in chips and 50 minute levels. Registration is open through the first two levels. We are down to the final ten players. Play has concluded for the night. Play will resume at noon tomorrow. There are now 17 players left in the tournament with top 15 spots paying. They are now down to 23 players from the original 140 that started the tournament.